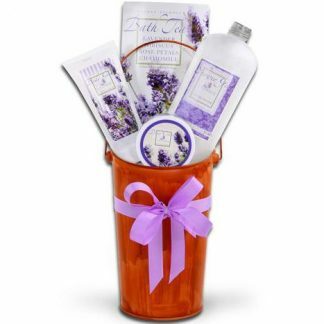 Indulge her by sending this Lavender Spa Pleasures Bath & Body Spa Gift Basket. 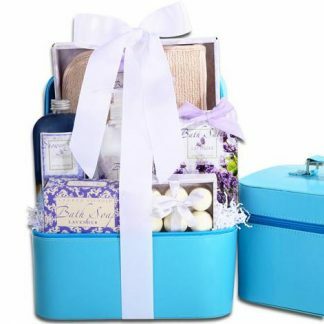 Filled with spa products from San Francisco Soap Company, she will be feeling relaxed in no time. 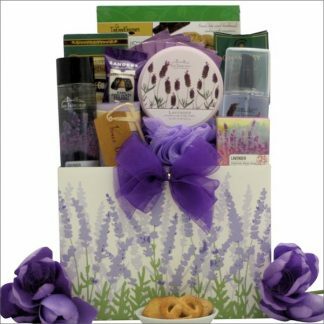 Included in this gorgeous basket is a Lavender Milled Bath Bar, Moisturizing Body Lotion, Refreshing Body Mist, Chambury European Raspberry Chocolate Truffles, Too Good Gourmet Cinnamon English Tea Cookies, Stash Breakfast in Paris Black Tea and much more! A great way to let her know you are thinking about her for any occasion.